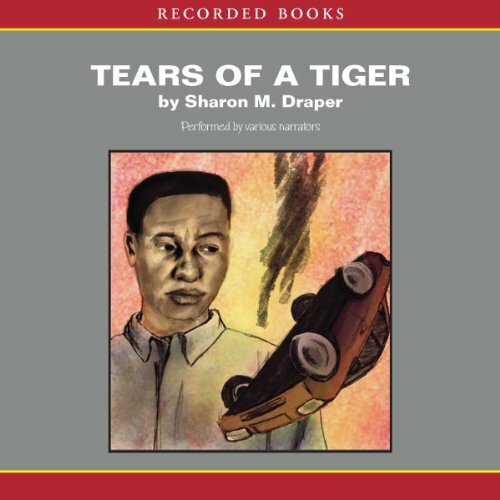 Coretta Scott King award-winner and National Teacher of the Year, Sharon M. Draper uses a brilliant variety of styles and voices to tell this compelling first story of her Hazelwood High trilogy. The night that changes everything in Andy's life begins as a great time. His basketball team wins a big game, and he and his best friend have some cold brews stashed in the car, just waiting for the rolling party to begin. Nothing anyone can say or do afterwards will convince Andy that what happens next isn't his fault. This book is unforgettable it brought me to tears. I would say for anyone and everyone to read this book. The narrator changes frequently, but I cried at the very end. The middle of the story was a little slow, though. Great book all in all! This book, this series, has always been a favorite of mine. It talks about the ways that people try and cope with death and depression. I am so glad that I am able to retread this book. Strongly recommend. this is not a sports story. also, the effect of multiple narrators disturbed me (particularly women doing male voices). A memory of my high school book I read. I was so surprised to remember I used to read this when I was in high school for the first time. Sharon Draper was my favorite author at the time since "Copper sun" became one of my favorite read. I am a person with good memory and want to collect the books that I once read in high school and have them in my audible library. This is definitely a good read and listening to it makes be proud and happy. This is a good story; definitely a high interest novel for high schoolers, but anyone would like it. Some of the subtle preachiness wasn't so subtle. It was a nice audio to listen to on my 3hr drive. The performers were good...especially during the first half. I prefer audios that feature a cast of voices rather than the reader performing all of the parts. Unfortunately, there were a few parts were the male and female dialogue was read by the man and similarly there were segments that had the a female reading both parts of a dialogue. I do not understand why because for most of the rendition each character had the same person assigned to read. Maybe they had a schedule to keep and a couple of people were absent so characters were double assigned. That was slightly annoying but overall a pretty authentic performance. At any rate, I'm not disappointed to have purchased this audio. I have never read a novel that caused me to become so emotionally invested in it. This is a real life novel depicting real life situations that people, young and old, face on a daily basis. Wonderful, wonderful literature. When Monty was talking to any I actually as a 14 year old boy broke out crying.